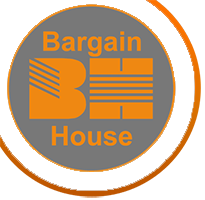 Bargain House Hardware Polokwane is a wholesaler & retailer of building, plumbing & electrical material. For more than a decade, Bargain House Hardware Polokwane has been at the forefront of the building, plumbing and electrical material supply industry. Since we first opened our doors all those years ago, much has changed in the building industry, including the introduction of new technology, increased competition and cheaper imports into the industry. One thing has however remained constant, and that is our vision.